HR is an initiative of SymbioticA and supported by The Department of Culture and The Arts Western Australia. From the odd to the mundane, new forms of life are emerging in labs, workshops and studios. With the promise of exploitation for health and wealth we are seeing life as it previously never existed, albeit smothered in hyperbole, rhetoric and speculation. How do cultures such as Indigenous Australia respond to Neolife? On what terms are countries like China, India, Singapore and Japan, who have a rapidly growing biotech industry embracing or rejecting Neolife? How different is it to the west? 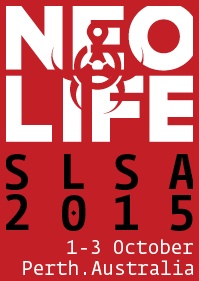 Neolife: The Rest of the World SLSA 2015 meeting in Perth, Western Australia will attempt to address these questions from a wide range of approaches. SymbioticA presents the inaugural Rest of the World (RotW) SLSA conference in Perth, Western Australia from 1-3 October 2015. This will be the first time the conference, will be staged outside of Europe or the United States, presenting an excellent opportunity for SLSA members in Australia, Asia and New Zealand to take part in the conference. Confirmed Keynotes include: Professor Carmen Lawrence, Professor Jill Milroy & Professor Yilin Cao. 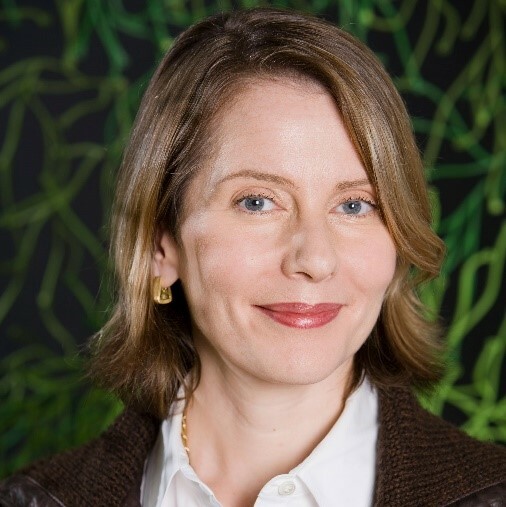 2015 represents the 20th anniversary of the public outing of regenerative biology which ushered an ontological crisis and new perspectives into the ways living bodies have been related to. The last twenty years also seen a shift in (or maybe a return of) the approach of scientists’ attempt to capture the public imagination; public engagement in forms of science on the display and as a spectacle. This meeting will try to get western and non-western perspectives in relation to life on display as well as life transformed into a raw material to be engineered. The meeting is planned to take place at the beautiful Crawley campus of The University of Western Australia in Perth. 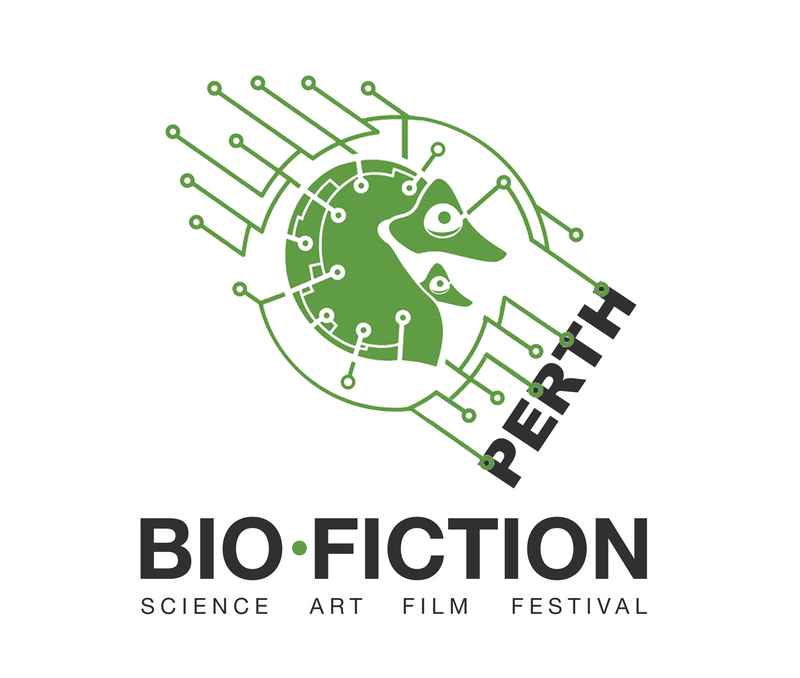 SymbioticA will arrange a series of workshops and pre-meeting events, as practical and conceptual build up to the main event via the SymbioticA Lab which was established at UWA in 2000. Spread across multiple faculties, disciplines and venues at UWA, Creative Research Into New Genres of Experimentation aims to embrace failure, futility and the unknown as artists strive for excellence through paths of control. SymbioticA presents the second National Experimental Arts Forum, on behalf of the Australia Council for the Arts to bring together experimental artists, producers and others experimenting with the arts. Our focus is Australia but we welcome the world to discuss current experiments, ways to support the needs of artists and organisations in the field and possible futures for experimental arts in Australia. Curated by Oron Catts, in collaboration with Elizabeth Stephens and Jennifer Johung. DeMonstrable, curated by SymbioticA Director Oron Catts is an event set to commemorate, respond to, and reflect on the multifaceted cultural and scientific impact of the Earmouse. New work commissioned for this exhibition is presented together with 20 years of artistic, scientific and popular culture responses to the Earmouse. 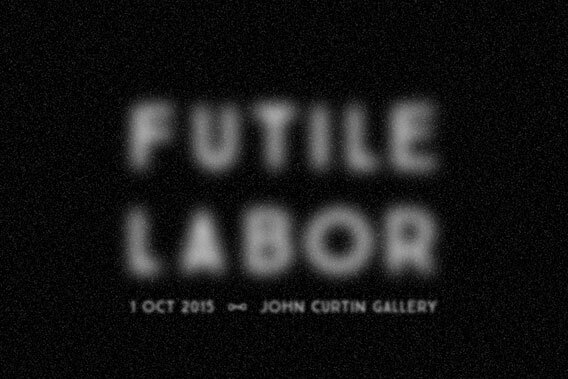 Futile Labor is an interdisciplinary project bringing together an artistic exhibition and scientific and techno-cultural research that calls our attention to the growing phenomenon of manipulating and engineering life for utilitarian ends. Futile Labor scrutinizes shifting perceptions of life and labor through the development of a vital machine – a tissue-engineered muscle that acts as an actuator (motor) inside a custom designed technoscientific body (a bioreactor). We aim to create an ontological link between twitching skeletal muscles “in a dish” and the human audience through an evocative responsive environment that documents and viscerally enacts the results of a five year research process. Through this we thus may think anew our post-humanist perceptions of movement as an indicator for life and agency. Guy Ben-Ary is on a quest to outsource his “brain” to become a rock star in a dish. He has used cutting edge bio-technologies to transform his own skin cells into a functional neural network or his “external brain”, and has embodied it with a sound-producing body made of analogue modular synthesisers. This autonomous cybernetic musician is capable of sensing and responding to stimulation provided by human musicians. It is a not-entirely-human performative artwork challenging perceptions about life and the materiality of the human body. In its first public performance, cellF will jam live with Darren Moore, Tokyo-based experimental jazz drummer, in a unique improvisation. Accompanying the performance is an exhibition of prototypes and material that documents the four years of research and development of the project, exploring and revealing some of the processes and theory that underpins the work. cellF is a collaboration between artists Guy Ben-Ary, Darren Moore, Nathan Thompson and Andrew Fitch, and scientists Stuart Hodgetts, Mike Edel and Douglas Bakkum. Scientific imaging is deeply entwined with the history of photography. Photography enhanced the scientific claim to objectivity and science facilitated photography’s alignment with truth. Scientific images are read as presenting the truth of a subject despite the ubiquitous use of preservation and framing techniques and manipulation of scale, colour and contrast. Digital imaging technologies are now integral to the production of scientific images, enabling easy post-production manipulations. Busied and bruised with looking… brings together four Australian-based artists who intervene in the production of scientific images. Materials, scale and ways of viewing are manipulated in order to confront the tacit expectation of truthfulness in scientific imagery and the photographic medium. 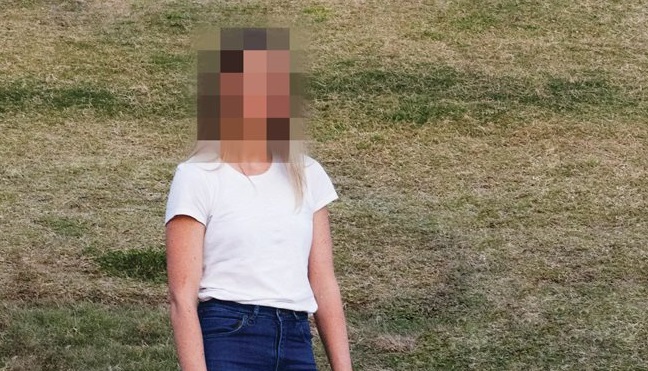 Tarsh Bates explores what it means to be human when we recognise our bodies as multi-species ecologies, with a particular focus on the relationships between Homo sapiens and Candida albicans. She uses scientific and artistic methodologies to explore physical, emotional, cultural and political relationships between humans and Candida. 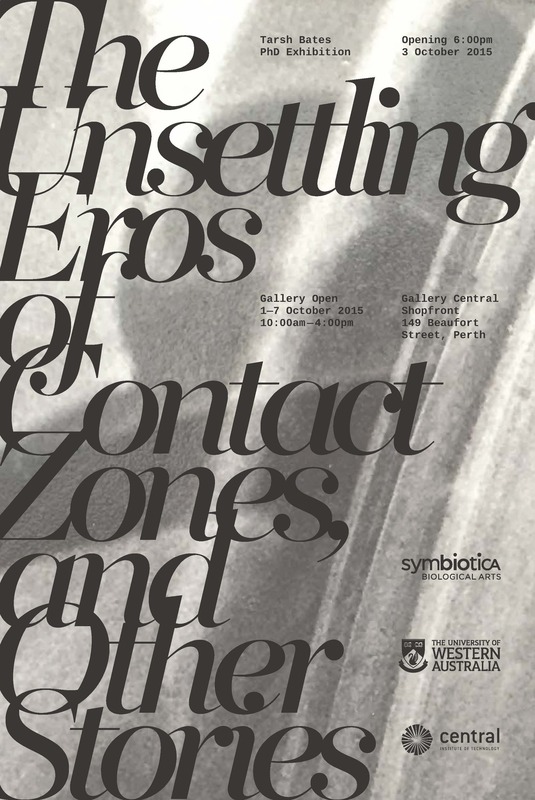 Works comprise sculptural, photographic and filmic works, dead and living organisms, and were developed during Bates' PhD research at SymbioticA and the University of Western Australia. In addition to the wide range of programming via SymbioticA, HR promotes external experiments during October 2015 in Perth. LIGHTHOUSE is a City of Perth project in which artists are commissioned to create light based artworks on Council House using the existing external lighting infrastructure. The countless patterns, sequences, intensity, movement and rhythmic compositions, as well as the building design, informs the artists’ approach to the work. Perth based artist Roly Skender will present a work derived from a high resolution photographic panorama of the Perth skyline. A range of hues and design features will be obtained by zooming and slowly panning across sections of the larger image. The result will be one or more sequences of abstract reflections of the city onto Council House via the LED lighting system. Graphic designer Suzanne Blake has designed vibrant pixelated images centring around the theme ‘Perth is Sweet’. Bold, colourful forms will transform Council House into an array of fruit. Fremantle based artist Tom Muller’s work will emulate lighting aspects during transitional periods of day and night – sunrise, sunset, twilight and darkness. The sequence will act as an accelerated expression of the natural process of the intensity of light increasing and decreasing. By elaborating seven illuminated gradient scenes, viewers will witness an artificial rendition of nature’s cycle of light. 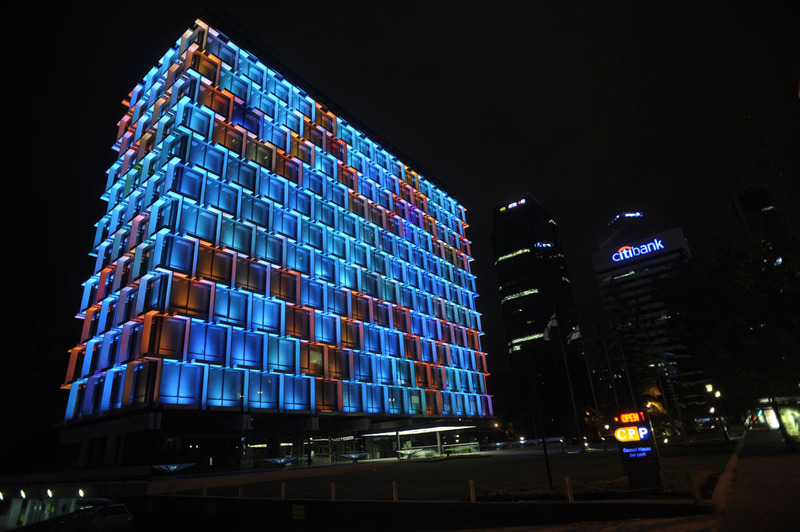 TRANSART is a public art initiative of the City of Perth that has been running since 2009. The program invites artists to develop temporary works for the City’s public spaces, seeking creative interventions that encourage exploration and engagement with art and the urban environment. Perth based artist Alina Tang presents an interventionist artwork in the form of a mobile flower cart as the catalyst for engagement and discussion about female identity and strength amongst other topics that inform the artist’s practice. The public will be invited to engage in conversation with the artist, discussing the flowers and the many layers of significance as defined by the Victorian practice of floriography, as she prepares customised bouquets for them to take away. 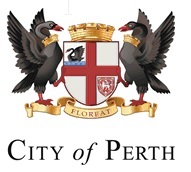 Perth based artist Loren Kronemyer presents a performance work that explores ideas about authority, security and surveillance by creating a symbolic “patrol” moving through the City, comprising humans, horses and birds of prey working together. 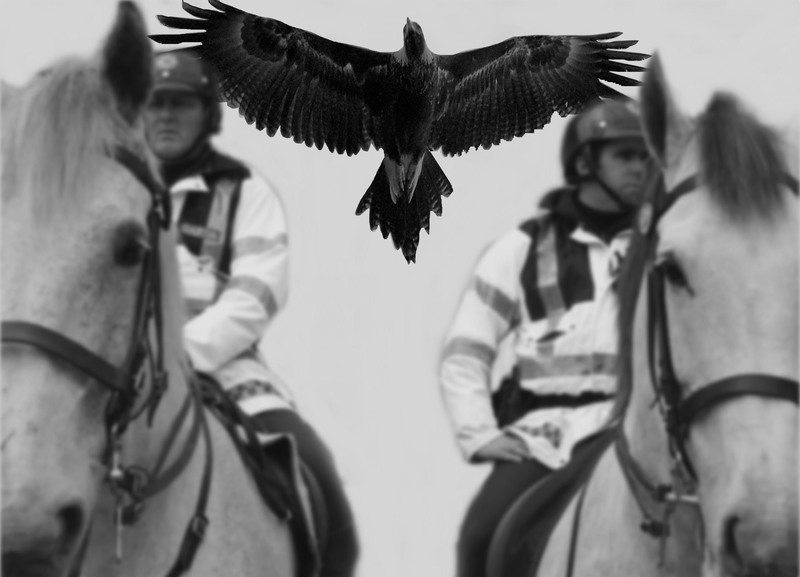 By augmenting the imposing stature and authoritative appearance of a mounted “officer” with a bird of prey, the performers will create an unexpected, moving spectacle that triggers the awe and curiosity in viewers’ imaginations. Ballengée creates transdisciplinary artworks inspired by ecological field and laboratory research. The City of Joondalup is hosting the artist for a specialised programme of ecological, scientific and creative workshops and appearances in the local community. By inviting people to bug-watch, the artist aims to show the public an essential side of their local ecosystem that they may not usually pay attention to. Artist Talk: Aimed at arts and science tertiary level students, the artist will give a presentation about his work, followed by a Q&A session with local artists and Curator of the City of Joondalup. Where: Edith Cowan University, Joondalup Campus, Building 31 room 113. To locate visitor parking and the location of Building 31, check the ECU Interactive map. Book: Register online to secure your place. 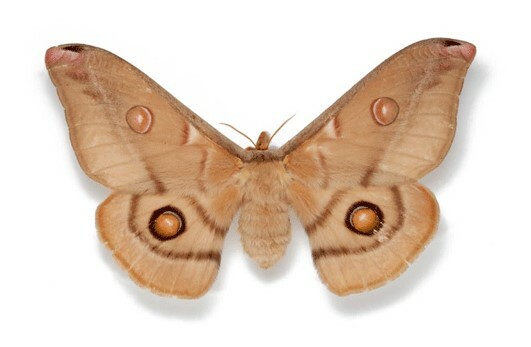 Night Walk A walking tour of Neil Hawkins Park, the artist will facilitate citizen scientist activities, collecting and examining insect specimens from around the local natural surroundings. Where: Neil Hawkins Park, Joondalup. Meet at the main car park. The perfect family activity! BYO torch and picnic dinner. Explore the parklands at dusk, enjoy live acoustic music, bug themed activities, and get your free junior entomologist kit (for kids under the age of 12). Where: Neil Hawkins Park, 200 Boas Avenue, Joondalup. Meet at the main car park. Cost: Free event, however bookings are essential. For further information please contact visualarts@joondalup.wa.gov.au or phone 9400 4924 or see The City of Joondalup's page on the residency HERE. Scanlines is the first exhibition of its kind: a comprehensive group exhibition that surveys the heritage of new media art in Australia since the 1980s. KURT BRERETON, LEON CMIELEWSKI, DANIEL CROOKS, DANIEL MUDIE CUNNINGHAM, STEPHEN FEARNLEY, STEPHEN HARROP, SUE HEALEY, SODA_JERK, JANET MEREWETHER, KATE RICHARDS, KATHY SMITH, JOSEPHINE STARRS, MARK TITMARSH, JOHN TONKIN. With a roll-call of some of the most recognizable names in contemporary art, the Scanlines exhibition includes rare early works and well-known works by our best-known and internationally celebrated filmmakers, contemporary artists and scholars. Scanlines traces the influence of one artistic generation to the next and traverses a plethora of tools, technologies and unique creative ideas, providing fertile context for contemporary new media art practices. The Symbiotica screening includes video interviews with the artists and exclusive studio video-tours, as well as 12 artworks made using Super 8 film, 16 mm film, VHS, CD-rom, and HD digital video. 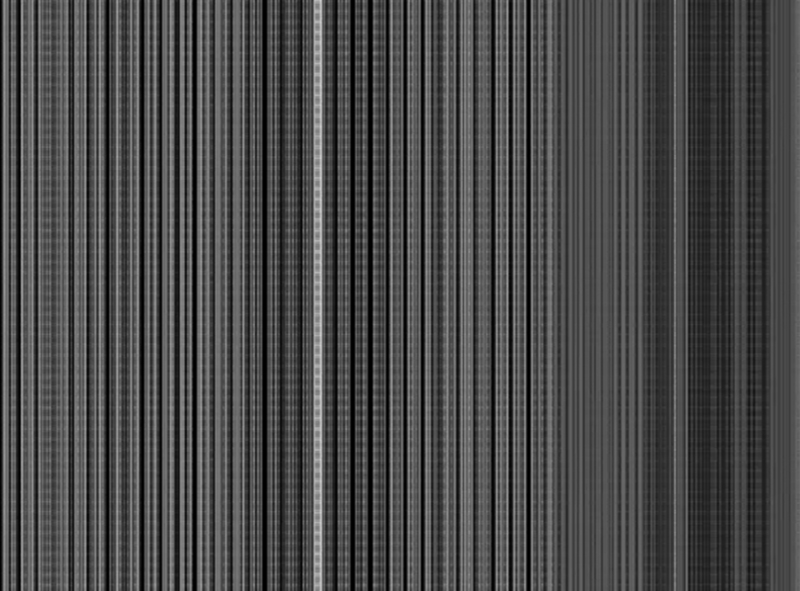 The Scanlines exhibition is supported by online videos, educational animations and lectures that will be accessible on the database scanlines.net. Developed by the University of New South Wales in association with dLux MediaArts, the Museum of Contemporary Art Australia and the Australian Network for Art and Technology, Scanlines.net is a unique and comprehensive online archive of media art history in Australia. Part of Darwinism’s collateral damage is to make animality a matter of the past, and so to forget that it is also a problem of the future. To say that we were animals is an elegant way to rid us of our relationship to animality. It is no accident that, for example, transhumanists pay no interest in animals, thinking that humans could free themselves from all animal temptation in a more or less distant future. But it is much more fruitful to consider instead that animality has not yet said its last word, so to speak, and to explore the possibility that the human will ultimately be closer to the animal in the future than it has ever been in the past, from yet unprecedented forms of animality to novel procedures of animalisation – transpecies animals. Animality should then be thought of less as a phylogenetic heritage (that would have the value of waste in a fairy tale leading from animals to humans), than as a fertile soil that humans may fertilise so as to address more serenely the great challenges of the epoch – of machines with claims to autonomy, of environments more collaborative than interactive. Animality has become rhizomatic. It has vegetalised and liquefied. A space which aims to create a different animality, such as one can see emerging in the field of artificial life, seeks less to reproduce animality-as-it-is than to conceive an animality-as-it-could-be. 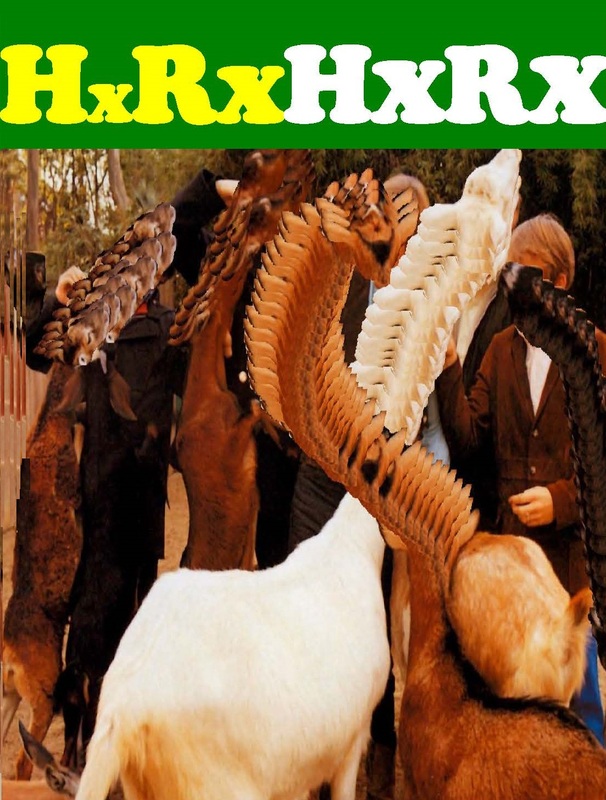 The hybridisation of real animals and prostheses evolves again in another space. As also do genetically modified animals, or the coming crossbreedings between nanotechnology, biotechnology and technologies of information and cognition. In short, transpecies animality ejects animality from the space of zoology and introduces new rules in the evolutionary game. Within this constantly reorganising proliferation, three tendencies are of exemplary interest: that of a purely virtual transpecies animality; that of an artificial and communitary transpecies animality that develops in spaces shared with humans; and that of a transpecies animality resulting from a deconstruction of metabolisms. Dominique Lestel is Associate Professor of Philosophy at the École Normale Supérieure in Paris. He was a founding member of the Department of Cognitive Science, before joining the Department of Philosophy in 2012. After studying philosophy at the Sorbonne, he received his doctorate at the EHESS in 1986. He was a researcher at the Artificial Intelligence Laboratory of the Bull company from 1984 to 1986. He directed the cognitive ethology team of the Muséum National d’Histoire Naturelle in Paris between 2006 and 2012. He has been a visiting scholar at Boston University; MIT; the School of the Art Institute of Chicago; Tokyo University of Foreign Languages; Keio University; University of California, San Diego; Macquarie University; and at the University of Montreal.He has published many essays in both French and English and a number of books in French: Paroles de singes (1995), L’Animalité (1996), Les Origines animales de la culture (2001, 2003), L’Animal singulier (2004), Les Amis de mes amis (2007), L’Animal est l’avenir de l’homme (2010) and Apologie du carnivore (2011). English translations are forthcoming with Columbia University Press of Eat this Book and The Friends of My Friends. A recent issue of Angelaki (19:3, 2014), edited by Matthew Chrulew, Jeffrey Bussolini and Brett Buchanan, was dedicated to his work. His latest book, À quoi sert un humain?, is forthcoming from Fayard in October. The nom de plume of Newcastle, UK artist Stephen Bishop, Basic House is the founder of the cassette label Opal Tapes label, which has been a major influence on contemporary DIY electronic music. Basic House's music is defined by a combination of a pure and primal aesthetic, and a precise attention to sound design. Basic House stands as a powerful testament to broken, crackling dispatches in the form of exhilarating electronic music. The tuba player and composer Robin Hayward, born in Brighton, England in 1969, has been based in Berlin since 1998. He has introduced revolutionary playing techniques to brass instruments, initially through the discovery of the 'noise-valve', and later through the development of the first fully microtonal tuba in 2009. In 2012 he invented the Hayward Tuning Vine, partly out of a desire to visualise the harmonic space implicit within the microtonal tuba. In 2005 he founded the ensemble Zinc & Copper Works to explore brass chamber music from an experimental music perspective. Hsu Yenting investigates the connection between sound, life, environment and ethno-culture. She has a Master of Arts Management from the Taipei National University of the Arts, presented at TEDx WenLuoTing in 2013 and undertook a residency with the Cité Internationale des Arts, Paris in 2014. She adopts materials from field recordings to create audio documentaries, soundscapes, and sound design for dance. In 2015 Hsu conducted a successful residency at Fremantle Arts Centre via the Asialink arts program. Beyond preservations of nationalist identity, there is an ethos that surpasses stifling anachronisms and cultural stereotypes. Such a belief is that culture is a living organism, constantly mutating and advancing outside the confines of borders. This was historically evident between 323 BC -31 BC, where Hellenic art and science spread across many nations far from Greece, interacting with other cultures and broadening its wisdom into a cross-cultural phenomena known as the Hellenistic age. In the 20th Century, Hellenic composers such as Iannis Xenakis and Jani Christou had embraced a trans-historical philosophy, seeing themselves as a continuation of such an ethos that espoused the inseparable symbiosis of art and science. After all, it was the technological advances of the 20th Century that saw artists reunited with the sciences; an ideal that closely paralleled the Hellenic ethos that preceded it. In this spirit we fast-forward to 2015 and 12,482 km from Greece to Hellenic Ēkhōs in Perth–a night of performances by Hellenic Composers and performers Steve Paraskos, Masonik, Chris Cobilis, Eleventeen Eston, Mega Mike, Petros Vouris and Nefeli Perdikouli. This will be the very first Hellenic Ēkhōs, a night celebrating Club Zho's long history with The Hellenic Club of WA. Three years since the first seeds were planted and Camp Doogs has grown into a fully-fledged habitat for music, art and outdoor recreation. Smack bang in the centre of the universe (WA’s Great South West), it’s the ultimate field trip: a real good camp from Friday the 9th until the Sunday the 11th of October. Camp Doogs is not just a music festival. It’s an immersive, elusive experience. There will be music and deep doogs dancing to match. 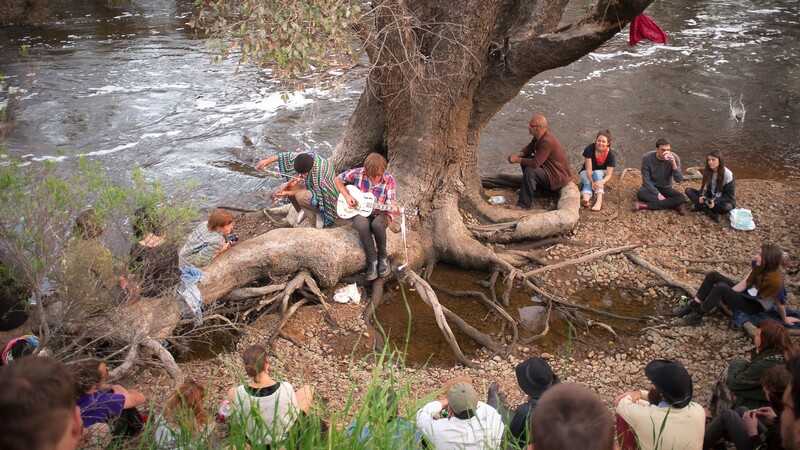 There’ll be unique installations, birdsong collaborations and riverside recitations. Cheesy daytime activities make way for late night mysteries. Fall asleep against a tree. Wake to a love note in your hand. Refresh with a morning swim before doing it all again. With no prior lineup announcement, and Nick Allbrook, Kucka and Peter Bibby as alumni, Camp Doogs 2015 anticipation will be high. Keep in mind it’s a festival big enough to attract international acts and small enough for giant spin the bottle. Explore your wildest fantasies; dreams doog come true. 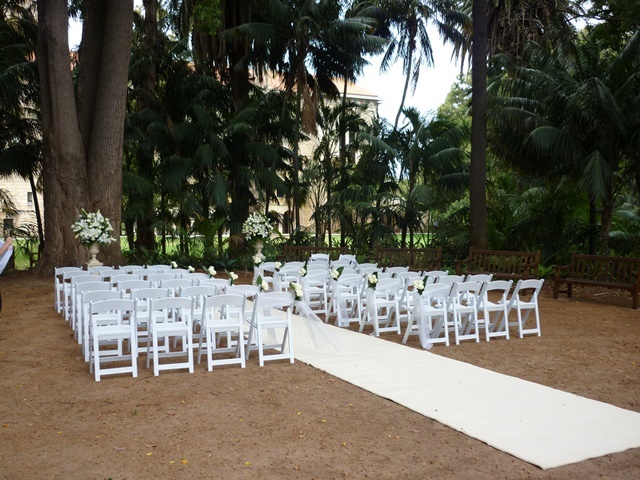 Tickets include a bus to the site, a nature reserve near Nannup, so pack light and with the environment in mind. Food is available from local suppliers and drinks are BYO. Bring your swag. Expect a great community and a drove of future mates. Every possession, every pay cheque, every home, symbolises how deserving you are as a person. From Afar on a Hill dives into the murky waters of entitlement, collective responsibility and immigration. In this playfully immersive performance, with elements of choreography and interaction, the audience is gently guided to the position of adjudicator…IF they make the grade. From Afar on a Hill is the premiere season of a new work by prominent performance-maker Bianca Martin (WA) and collaborators, initiated as part of Copenhagen’s Dansehallerne SPOT ON platform in 2013 and developed at PICA in 2014 under the consultation of sociologist and academic Farida Fozdar and Steve Bull of pvi collective. Public circulation (keep moving) is a stylised, choreographic performance base on crowd control techniques. 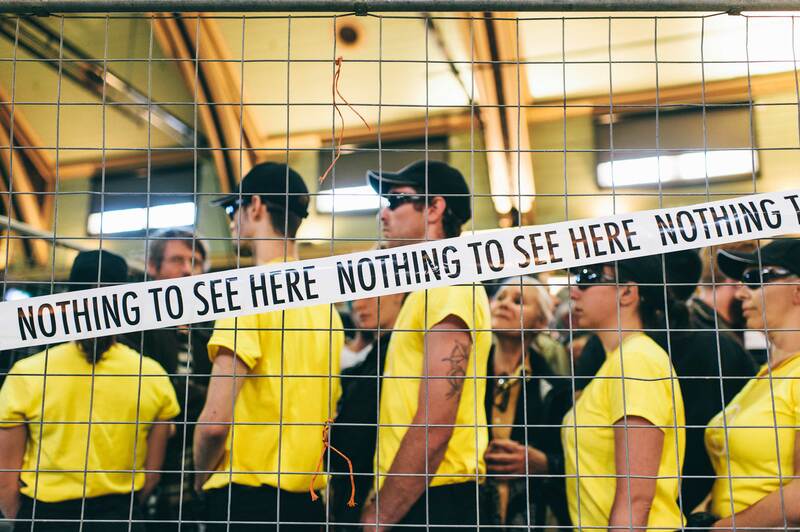 Created in consultation with people who have first hand experience of the regulating techniques used by police, this new work features a team of security professionals that will occupy public spaces within PICA and the Perth Cultural Centre. The English born tuba player and composer Robin Hayward has been based in Berlin since 1998. He has introduced revolutionary playing techniques to brass instruments, initially through the discovery of the 'noise-valve', and later through the development of the first fully microtonal tuba in 2009. In 2012 he invented the Hayward Tuning Vine, partly out of a desire to visualise the harmonic space implicit within the microtonal tuba. In 2005 he founded the ensemble Zinc & Copper Worksto explore brass chamber music from an experimental music perspective. Robin Hayward has toured extensively both solo and in collaboration, and been featured in such festivals as Maerzmusik, Fri Resonans, Donaueschingen, TRANSIT festival, Ghent Festival of Flanders, Ostrava New Music Days, Sound Symposium, Kieler Tage für Neue Musik and Wien Modern. Collaborations include such musicians as Charles Curtis and Roberto Fabbriciani, along with composers such as Christian Wolff, Alvin Lucier and Eliane Radigue. His approach to the tuba has been documented in the solo CDs Valve Division, States of Rushing and Nouveau Saxhorn Nouveau Basse, along with various collaborative releases. He has lectured at such institutions as Stuttgart Musikhochschule, the Sibelius Academy in Helsinki, UDK Berlin, Dartmouth College and Wesleyan University. Robin Hayward is currently doing a doctorate on the acoustics of the recently developed microtonal tuba at the Technical University in Berlin. Derek Kreckler: Accident & Process is the first survey exhibition of one of Australia’s most rigorous post-minimal and post conceptual artists, bringing together photography, installation, sound and performance works from a career spanning over five decades. in the distance a pool of light was not what it seemed is an exhibition of all new work designed and built for PICA’s West End Gallery. Extending her drawing practice to 3D forms, Cavaniglia has created a landscape of open pavilions in coloured and clear acrylic, mirrored sculptures and airbrushed wall drawings for visitors to navigate through and around. Mark Cauvin is a composer, performer and interpreter of graphically notated scores that house an interdisciplinary practice of improvised sound and movement. He has published numerous audio recordings and has been exhibited internationally with his installation video “Die Dunkelkammer” Mark began specialising in solo performance of a three dimensional nature after graduating from the Sydney Conservatorium of Music in 2003. In pursuit of developing his technical capabilities and to source new repertoire he studied abroad in Perugia (Italy) with Maestro Fernando Grillo (1945-2013).In 2013 Mark created Die Dunkelkammer (The Darkroom) for Soloist and Electronic Music with choreographer Hellen Sky. The video performance has been featured at the PNEM Sound Art Festival in the Netherlands in 2013 and shortlisted for the prestigious Aesthetica Short Film Festival (UK). Die Dunkelkammer for Soloist and Electronic Music will be presented at the Anywhere Festival in New South Wales in May 2015. He is a member of Chamber Made OPera, where is has performed many works by David Young. A two week workshop with composer and clarinetist Carol Robinson will facilitate the development of a new piece in Radigue’s “Occam” series with Decibel, concluding in the world premiere of a new 40 minute work. Arthesis (1973) 26’ by Eliane Radigue. An electroacoustic work, realized on Moog Synthesiser. Spatilisied in realtime by Decibel and Carol Robinson. OCCAM III (2012) 25’ by Eliane Radigue for solo birbyne performed by Carol Robinson. Australian Premiere. OCCAM HEXA II 30’ By Eliane Radigue & Carol Robinson. For flute, clarinet, viola, cello and percussion. Commissioned by Decibel. World premiere. Twelve days of one-on-one performances, intimate tours, caffeine-fuelled discussions, day spa relaxing and opening party celebrations. Proximity Festival is the first one-on-one intimate performance platform of its kind in Australia. It’s been built from the ground up by WA artists with one person in mind – you. Each year we take over a venue in its entirety and invite emerging, mid-career and established practitioners from all disciplines to re-purpose the building and seek out alternative uses for hidden, forgotten or negative spaces. Twelve artists and/or groups are curated into the program and participate in a two-week mentored, fee-free development LAB prior to the performance season. During the Festival we run public masterclasses, a national symposium and opening event of one-off performances by local artists. The twelve Proximity Festival performances take place simultaneously throughout AGWA Galleries and hidden spaces during the day. 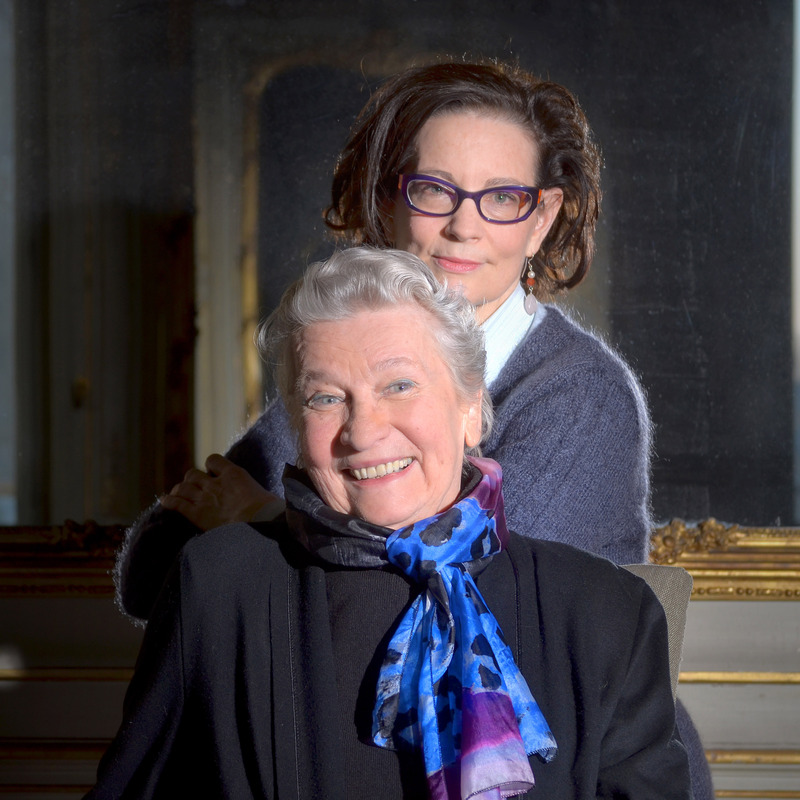 Each curated program (A, B, C) runs for 90 minutes and features four different experiences. 18+ event – booking fees apply. Marathons are limited across the Festival and sell fast.